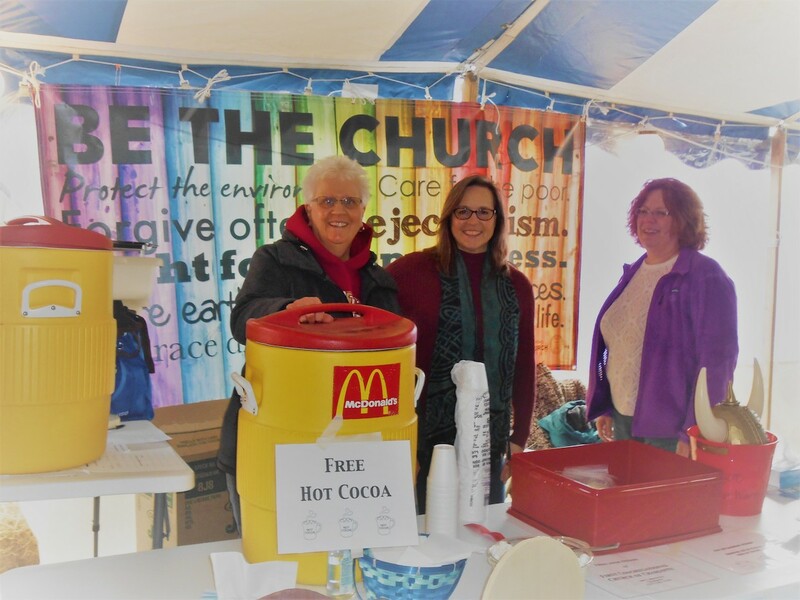 cups of hot cocoa to visitors. 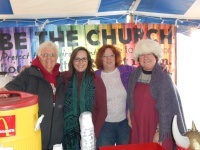 They donated $234 to our canister for Walk for Warmth, a home-heating assistance program. 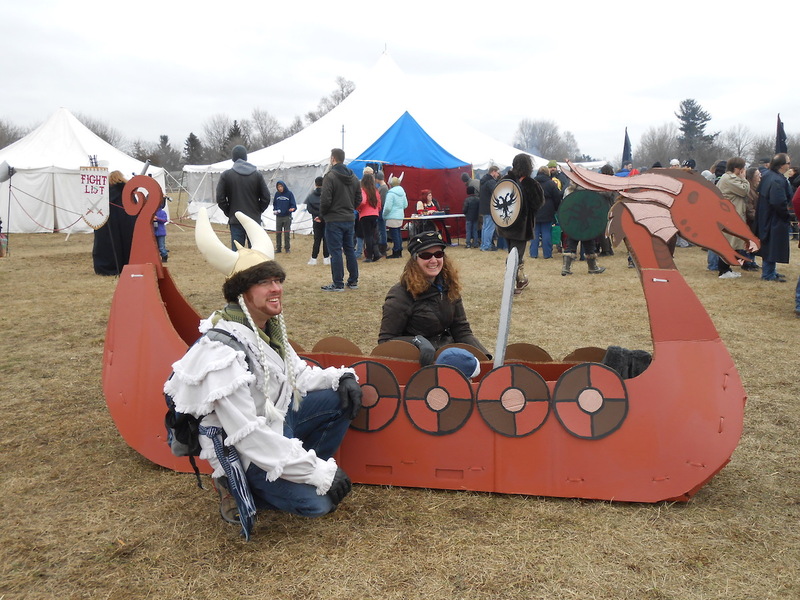 Many people were dressed in Viking-style “garb”. 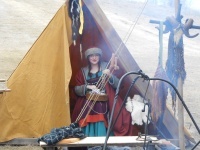 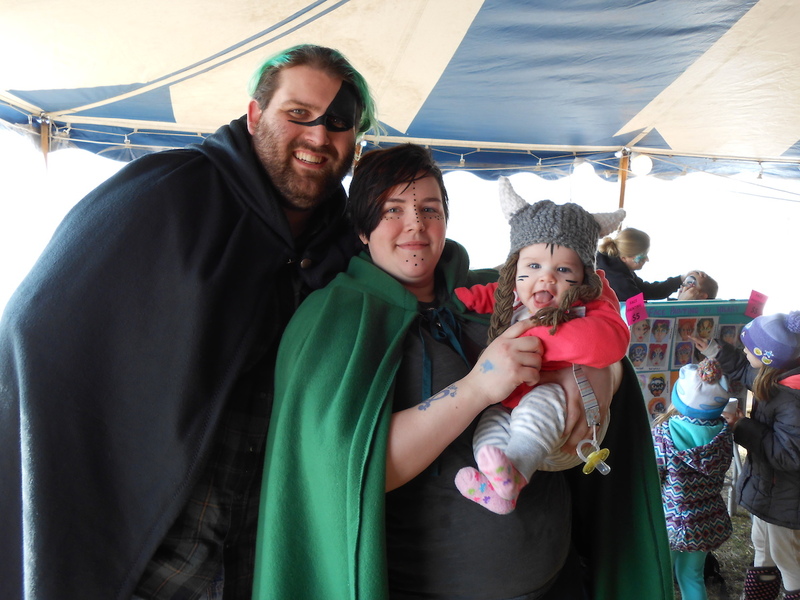 It was a fun, family-friendly event featuring numerous outdoor re-enactment groups, music, competitions, vendors and activities. Visitors seemed to be very happy to be walking outdoors or through the two large tents to view merchandise. 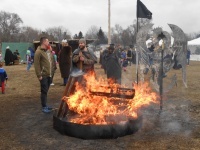 By all accounts, the third annual Nordic Fire Festival was a huge success. 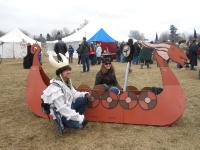 Two thumbs up and many thanks to Mary Normand and all who helped make, bake, frost and package the 600 Viking helmet shaped cookies. 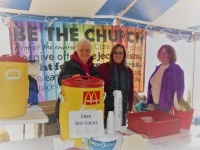 Many thanks to all who helped with the making and transporting of the cocoa, the setting up and taking down of our table and banner, and to all who volunteered to work at our table.